Whether a heating system is just a few years old, or it has had a long, dependable service life, problems and system failures will eventually happen, due to a combination of natural wear and the long, hard winters in the McCordsville area. When you have heating problems, you need an HVAC company you can relay on for fast, reliable repairs and dependable service. 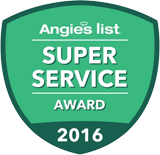 With our talented HVAC technicians, you can count on Service Plus Heating, Cooling & Plumbing for help with all your heating problems. We offer affordable, reliable repair services for furnaces, boilers, heat pumps, ductless systems, and more, as well as complete maintenance and replacement services. Our company serves homeowners throughout the McCordsville area, whether you live in Deer Crossing, Austin Trace, or elsewhere. Contact Service Plus today at 317-434-2627 for more information about our heating services, or to schedule an appointment! At Service plus, we can diagnose and repair most heating system problems quickly, while offering the bet repair options for your needs and your available budget. To schedule repairs in the McCordsville area, contact us today! We can repair and maintain all common types of heating systems, including furnaces, boilers, heat pumps, dual fuel systems, ductless systems, radiant heating, and more. We also offer complete replacement services if your system has failed completely. Contact us today to request a repair estimate! From minor heating system problems to major ones, you can count on our team at Service Plus for fast, friendly home heating repairs anywhere in the McCordsville area. We also offer complete air conditioning, indoor air quality, and plumbing services for McCordsville residents, and we are committed to providing superior comfort and value to our customers. For an appointment or an estimate, contact our team at 317-434-2627 today!